Yesterday, Injustice fans around the world saw the release of the very first Injustice 2 trailer and the announcement press release, which gave them a very vague idea what to expect from the sequel of their favorite fighting game. In only 24 hours, the announcement trailer reached almost 2.000.000 views on YouTube and the game became one of the most discussed topics among gamers. What fans are going to see this Saturday (June 11th, 2016 at 5 PM PST) is the very first gameplay footage from the game. 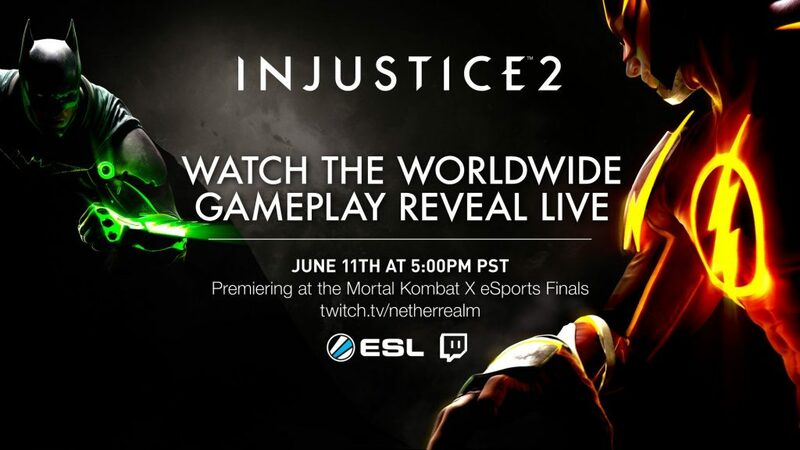 The reveal is going to happen during ESL Season 3 and will be streamed live on Netherrealm Studios’ Twitch channel. Are you excited about Injustice 2, let us know in comments below.